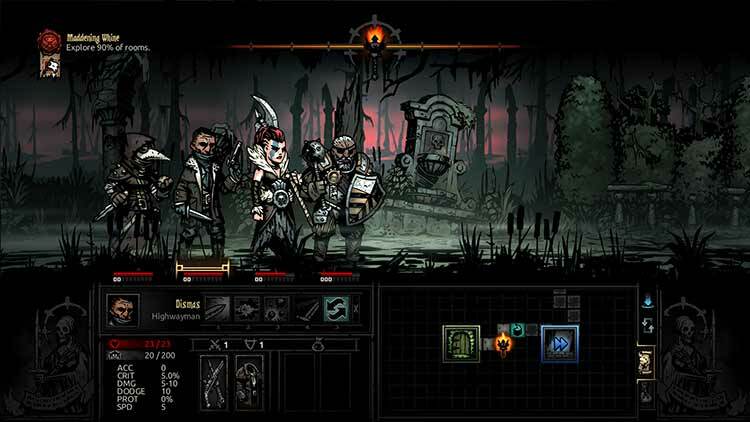 Downloadable ContentThis content requires the base game Darkest Dungeon in order to play. "THE BLOOD...I MUST HAVE THE BLOOD!" 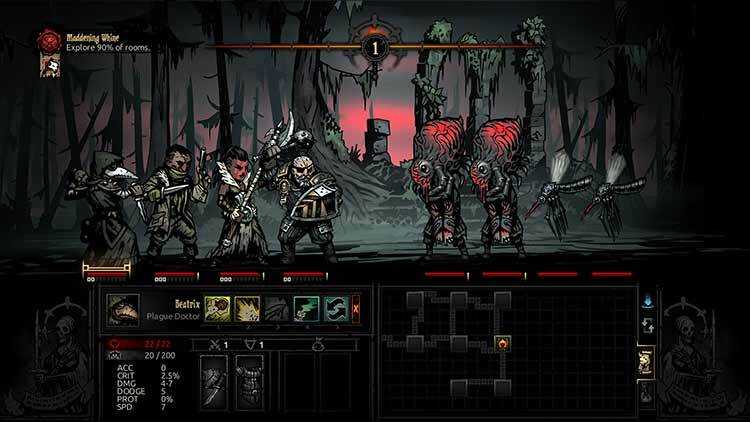 Darkest Dungeon: The Crimson Court is the first expansion for the award-winning grim and gothic RPG by Red Hook Studios. 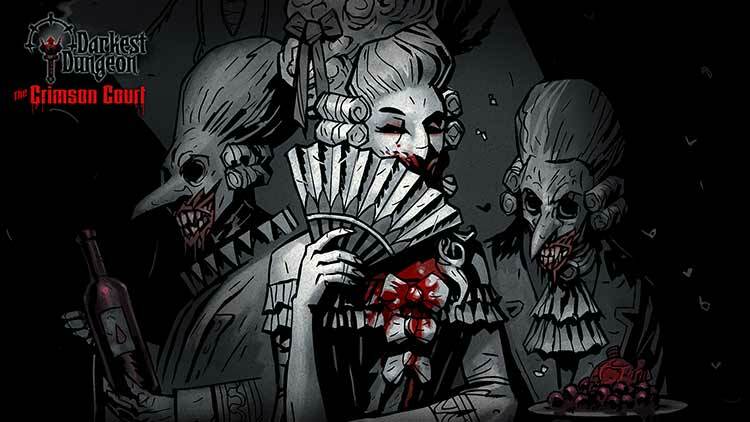 Crimson Court is a parallel campaign experienced alongside the main Darkest Dungeon content that will provide you with new challenges and variation at every difficulty level. The narrative grounding sheds some light on the Ancestor’s early days, and will be presented in the same style of cut-scenes you’ve seen elsewhere in the game. 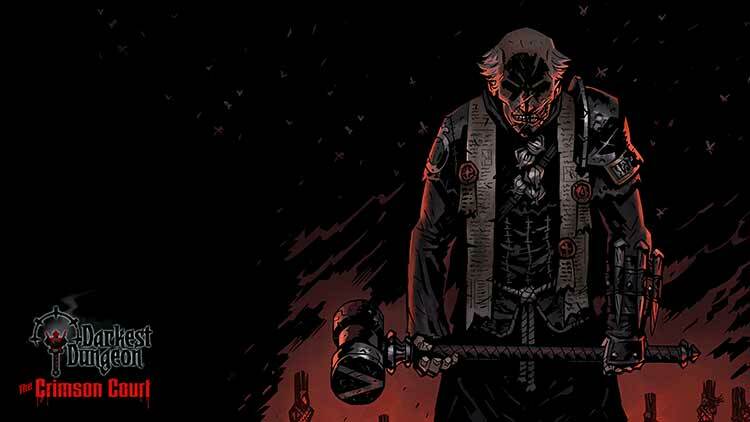 The Crimson Court pumps Darkest Dungeon full of disturbing blood-sucking enemies, a challenging new class, and a marathon-style new area that forces you to think differently about how to sustain your team over a long run. While there’s definitely enough new content in The Crimson Court to come back to Darkest Dungeon for, it’s more the kind of DLC that mixes things up for a new replay than an essential upgrade you should install from the beginning. If you’re new to the dungeon or it's been a long time since you ventured into its depths, do yourself a favor and get your sea legs ready before wading into the bloody pools of The Crimson Court. If you’re an experienced delver looking for a new challenge, then by all means, step into the moonlight and find out what the night has in store for you. The Ancestor did certain things which made me feel empathy for him, gave me a sense of how he tried to stop the flood of something inevitable, and greater than he could ever be. To feel something new, for a character we have loathed for a year, is an impressive feat, and the writers at Red Hook must be commended. I also sensed, very, very subtly, that the story was also advancing. The narrator was less sarcastic, less taunting. There was a tiredness, a fatalistic exhaustion, which made his commentary ever-slightly tender. 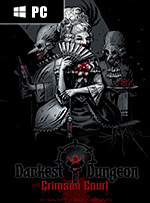 So yes - the Crimson Court DLC for Darkest Dungeon adds a new adventure area that recommends you only attempt it with experienced parties of adventurers. 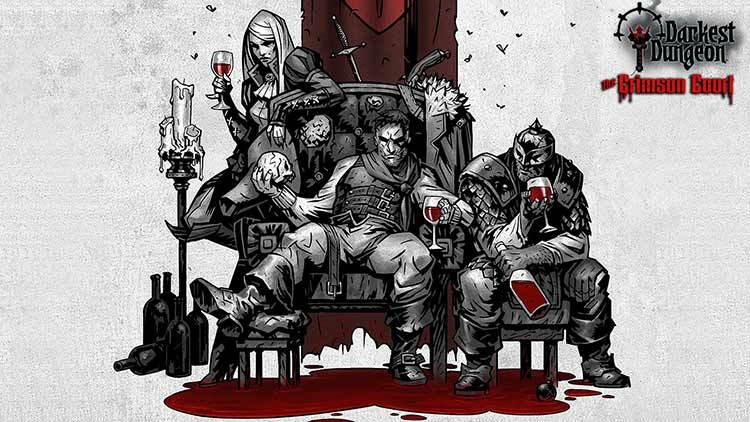 All in all, the Crimson Court is a welcome addition to Darkest Dungeon, a neat sidecar to be enjoyed alongside the core experience. The aesthetic of the infiltration and destruction of a hedonistic high-society is handled perfectly, and only the extreme dedication toward ensuring you have a stressful, ride-the-razor experience detracts from the Lovecraftian journey. Pozostaje więc odpowiedzieć na pytanie, czy The Crimson Court utrzymuje poziom podstawowej wersji gry, która – bądź co bądź – przebojem zdobyła serca graczy i najwyższe miejsca w różnych rankingach. Jak najbardziej tak. The Crimson Court do tego stopnia idealnie wpasowuje się w całość rozgrywki, doskonale wypełniając niszę, której braku zupełnie nikt nie odczuwał, że ciężko traktować to DLC jako osobny twór.